Yves Saint Laurent Beaute carries the tradition of iconic Parisian house Yves Saint Laurent and infuses it into luxury beauty products. 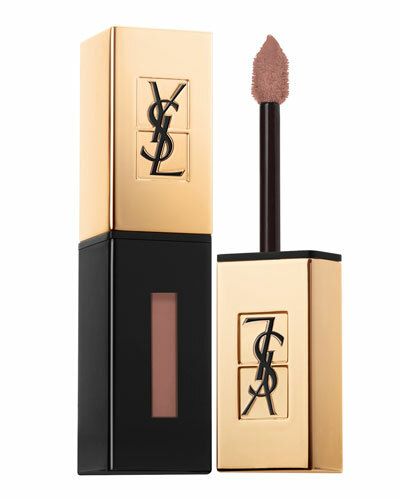 The YSL Beaute lip collection includes an assortment of lipsticks, lip gloss, lip stains, providing consistent coverage, smooth texture, and hydration to your lips. Each collection, including Rouge Volupte, Rouge Pur Couture, Vernis A Levres, and more, is formulated after extensive research and testing to deliver top-notch lip makeup. Get luminous shine and flaunt the natural beauty of your lips with a range of Yves Saint Laurent lipsticks, lip gloss, lip oil, lip color and more at Neiman Marcus.